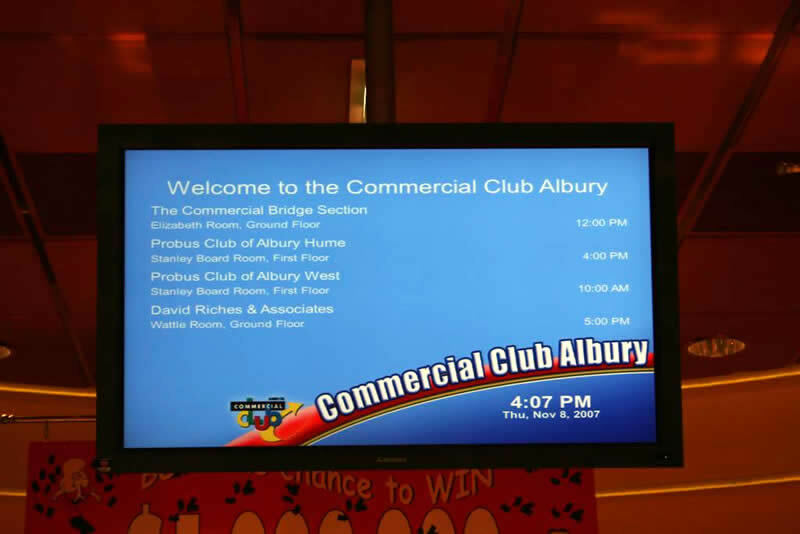 Hotels benefit from the efficient movement of clients and visitors to meeting and conference rooms. 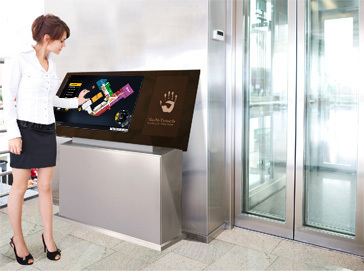 Command's solutions for Foyer wayfinding displays and room entry displays assists hotels in getting the right information and directions to the clients and visitors. 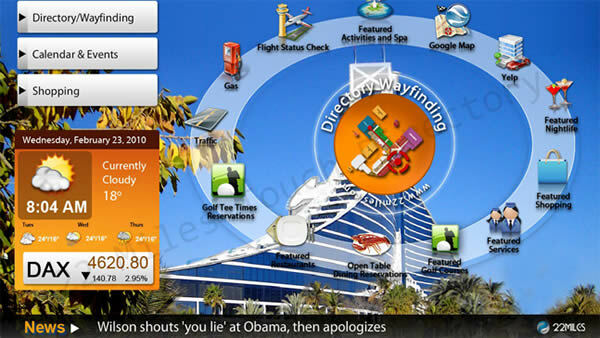 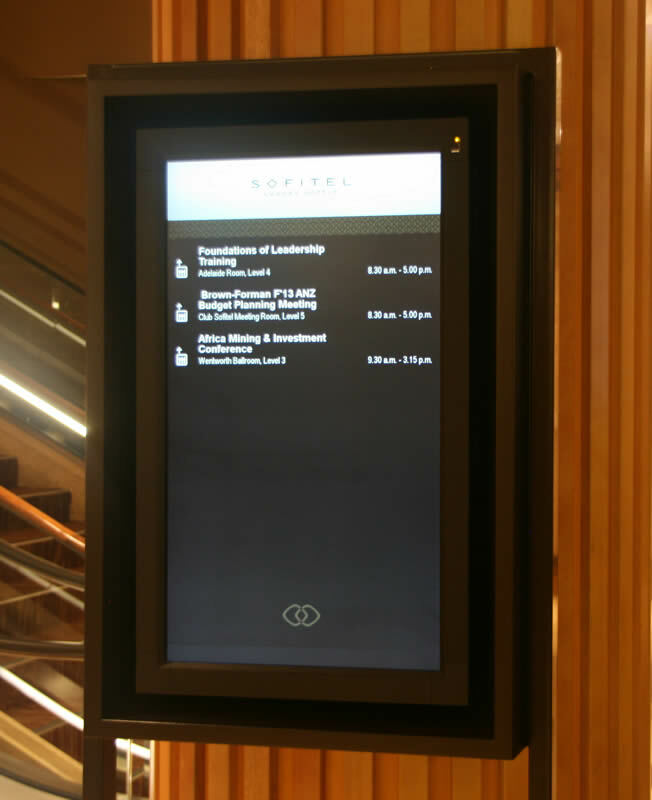 The Command RoomManager systems are used in five star locations such as Sofitel, Hilton, Sebel, Crowne and others. 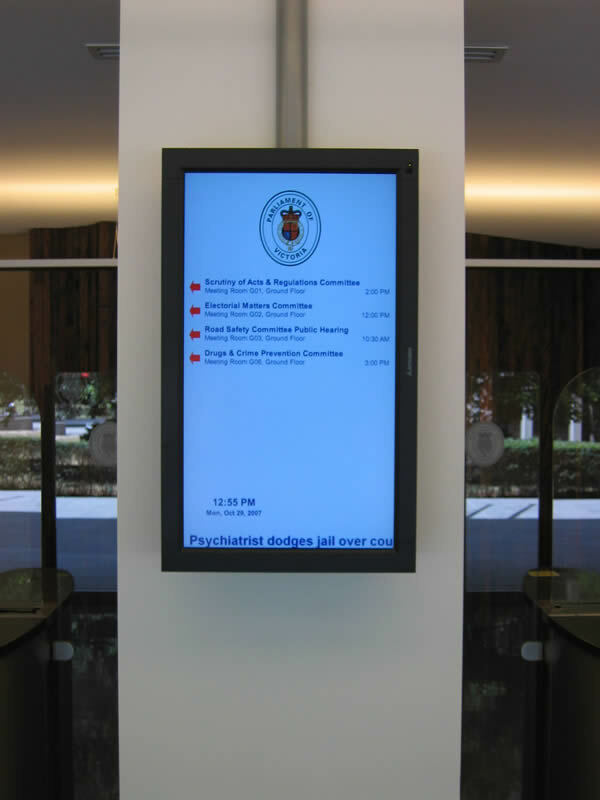 Designed and installed for new buildings or retrofitted with this new digital signage technology to current buildings and refurbishments. 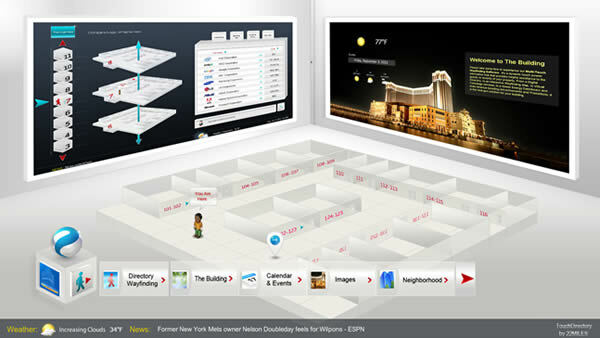 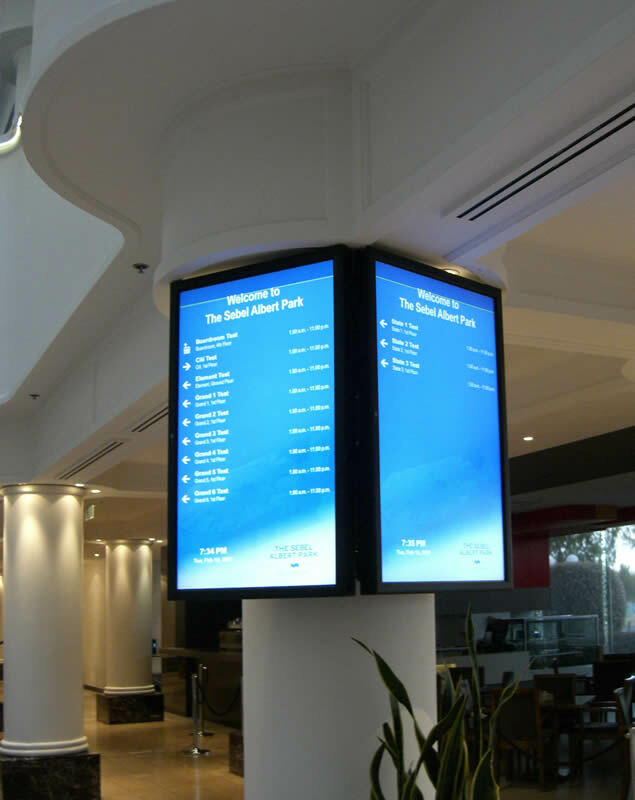 The control of a display system is easy with RoomManager and Navori digital signage solutions. 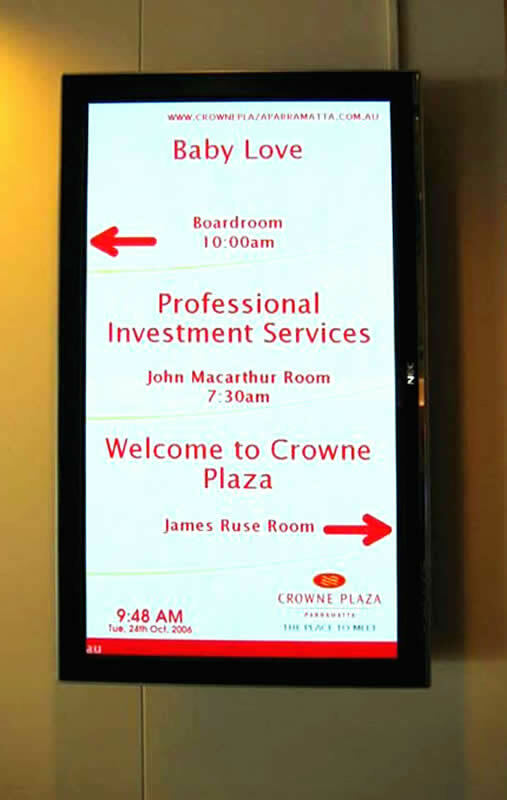 By using a template system, the room information with client detail is easily entered and managed ahead of time. 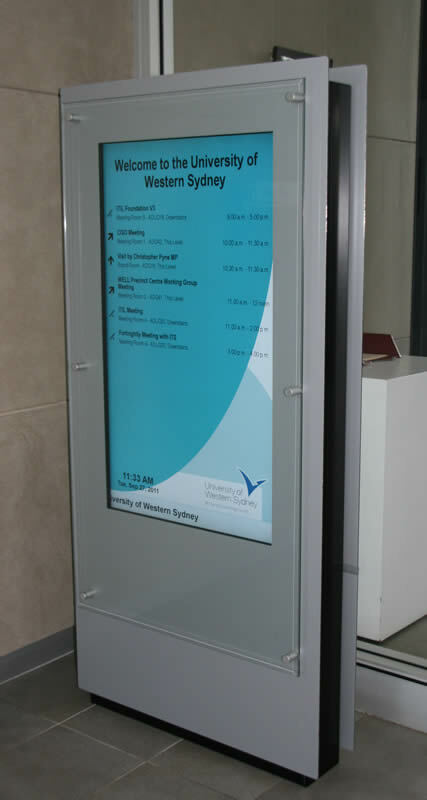 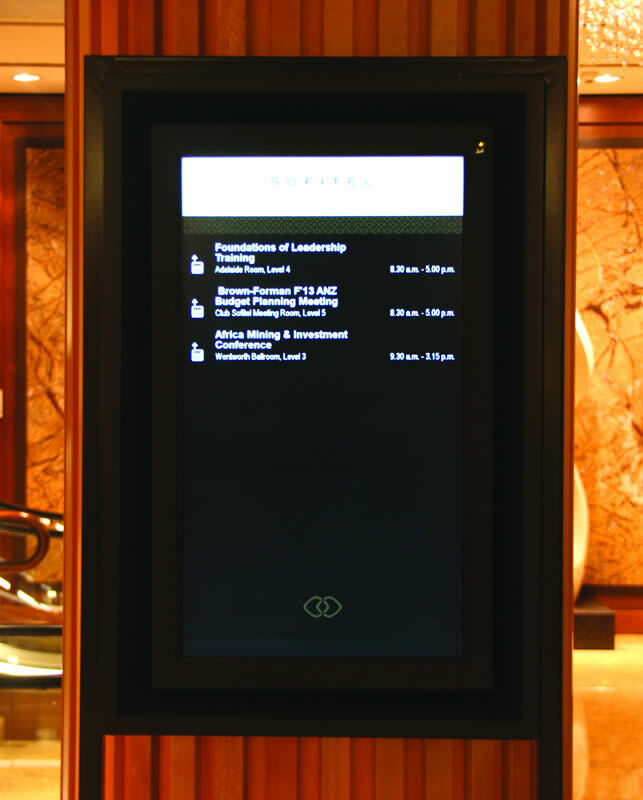 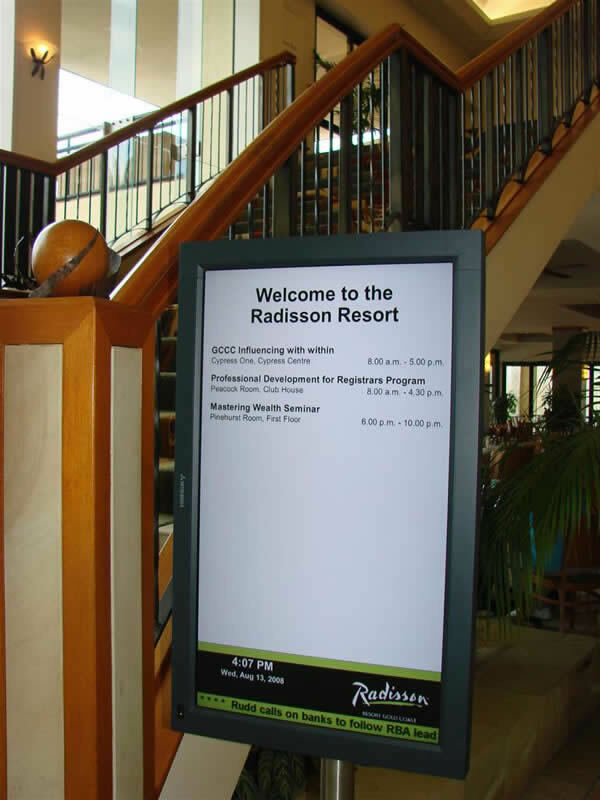 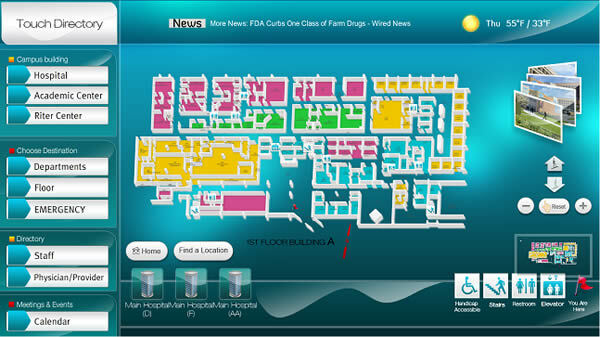 The RoomManager and Navori systems have a host of features that allows the display of directional information in the foyer along with promotional and advertising information for the effective distribution of information to your clients and visitors. 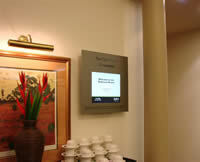 Attractive custom hardware options can turn your space into a world-class experience. 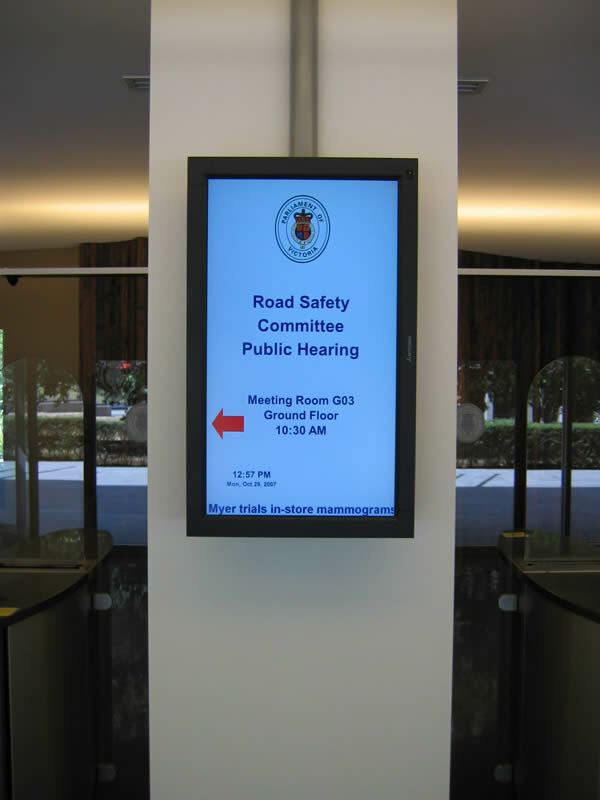 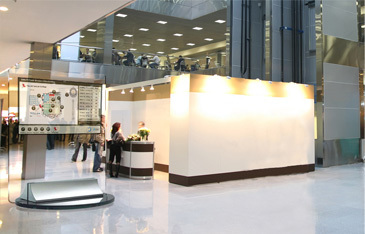 Go big with a glass wall up to 3-metre, all the way up to a multi-user, multi-touch wall up to 30-metre.